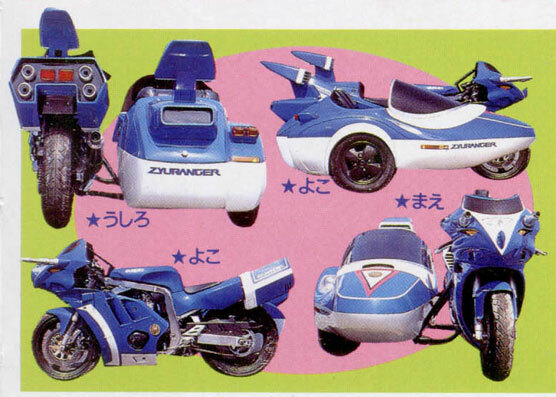 In the past few months, I've been increasingly becoming a bigger and bigger fan of the motorcycles the Rangers used to travel about. They were more heavily used in Zyuranger, as the Zyurangers main mode of transportation to wherever a monster might be causing havoc. Regardless the series or name they've went by, they're completely badass. 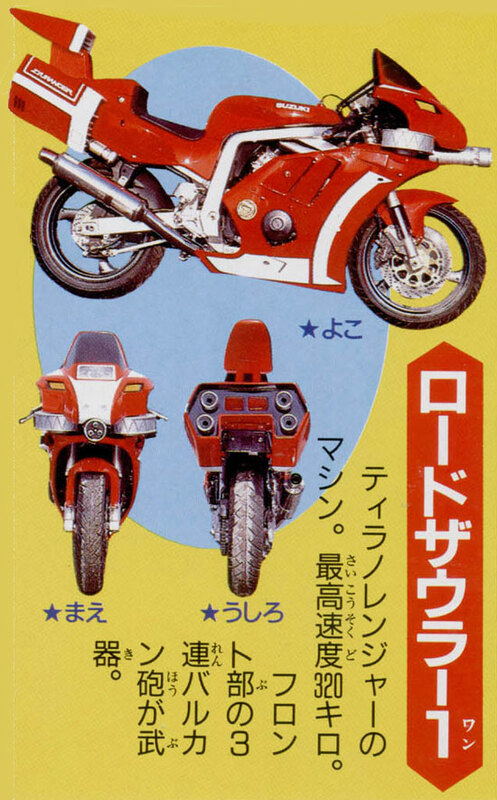 There's something poetic about a motorcycle that looks like a dinosaur, packing firearms, and being used by superheroes to drive around looking for monsters to beat up. I'm not even much of a motorcycle person. I'm not even much of a car guy. I just want something that runs good, gets me from point a to point b, and I'd like it to look nice. Which is ironic considering my hobbies revolve around robots that turn into cars and the like. So far I have the black battle bike from Imaginext with hopes to score the blue one as well. I wish there was a red one, but I suppose a boy can only dream. 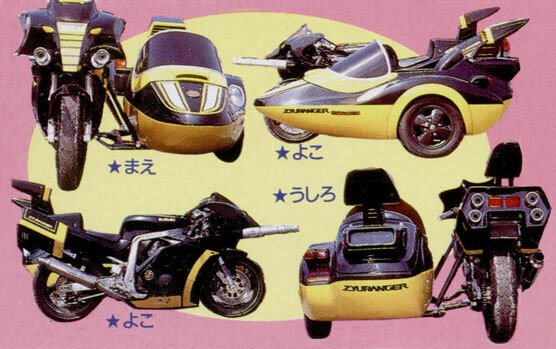 So far Imaginext has only made the two bikes with sidecars. I sometimes aspire to acquire a stand alone Imaginext motorcycle to customize into the Red Rangers bike. Though I'd much rather an official one. I know there's other Ranger toys versions of them, but hey... Imaginext has pretty much cornered the market in Power Rangers toys.